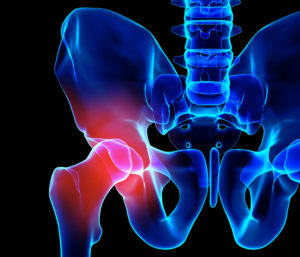 Considering whether to undergo a hip replacement can be a scary thought. Surgery itself can be frightening to many people in the Dayton, Nevada, area and beyond, and worrying about arranging pre- and postoperative care only adds further stress to the situation. Before surgery — The orthopedic specialists on our team can diagnose injuries, arthritis, and other hip conditions and let you know whether you might be a candidate for hip replacement surgery. During surgery — Our team includes a number of highly skilled and experienced orthopedic surgeons who can perform either partial or total hip replacement procedures, depending on your condition. After surgery — Following surgery, our team of on-site physical and occupational therapists can assist you with rehabilitation and help you get back on your feet. Providing care before, during, and after a procedure eliminates the need for a patient to visit multiple providers at various locations, saving time and hassle. Plus, working together under one roof allows our orthopedic specialists to better communicate about each patient’s individual needs. Our main focus is our patients’ health, and we’ll do whatever it takes to ensure the best possible outcome. If you’ve been told that you need a hip replacement, or if you’ve been wondering whether you could potentially benefit from this procedure, please contact Tahoe Fracture & Orthopedic Medical Clinic today. We have several offices in the Dayton, NV, area, and we look forward to assisting you with this process.